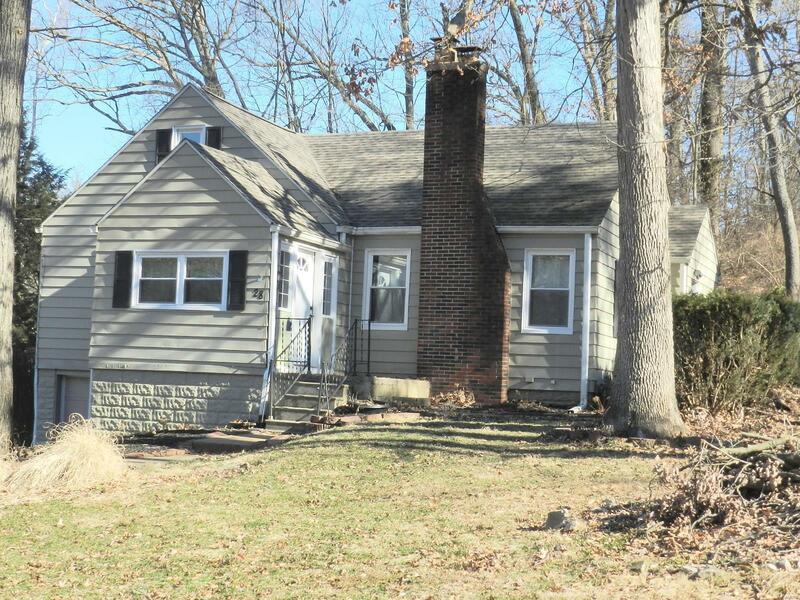 Charming, 4 bed, 2 bath updated bungalow on large wooded lot is move in ready! 2 bedrooms on the first floor w/ full, updated bath - and 2 bedrooms and a Â½ bath upstairs! Arched doorways & beautiful hardwood floors throughout the main floor! Windows & light fixtures have been updated! Huge LR and DR both have cove molding and wainscoting. Newer cabinets, countertops and appliances in the updated kitchen. Main floor full bath has elegant sink and faucet & sleek newer toilet and newer tub surround. One bedroom has floor to ceiling built in bookshelves with smaller built ins in the 2 upstairs bedrooms. Lots of closets in this house! Updates within the last 4 years include: Roof, front door, windows, carpet/flooring in the bedrooms, bathrooms and kitchen; new hot water heater, light fixtures, hardwood floors re-finished. Large, unfinished basement walks out to the private back yard. Quiet neighborhood with lots of mature trees is close to 64 and a Metro Link station. Come see!